Negotiating a Claim vs Filing a Personal Injury Lawsuit - Which to Choose? If you have been injured in an accident, there are two primary ways that you can receive compensation for your injuries. The first is to file a personal injury insurance claim under either the at-fault parties insurance carrier or your own insurance company (under the UM/UIM section of your policy). The second is to file a personal injury lawsuit against the at-fault party directly. It goes without saying that these are two completely different strategies and while they are not mutually exclusive, which way you proceed and when you decide to proceed down that road, can have a huge impact on the outcome of your personal injury case. Whether it is better to file a personal injury claim with the insurance company or file a personal injury lawsuit will depend on a number of factors, including the facts an circumstances surrounding the accident, the nature and severity of your injuries, and the length of time that has passed since the accident occurred. The purpose of this article is to help you understand the difference between these two option so that you can make the most informed choice in your case. If you were involved in some type of auto or trucking accident, or even if you were injured in some other way by an at-fault party, and you suffered personal injuries or property damage (or both), then the most common way to recover compensation is to simply file a claim with the at-fault parties insurance company. In theory, the claims process is relatively simple – although different insurance companies may treat the exact same accident case differently. The first step of the process is to file a claim with either your insurance company or the insurance company of the at-fault party. This is something that you will want to do as quickly as possible so that you will have put the insurance companies on notice and so that they can start investigating the claim. Ideally, you will notify both insurance companies (yours and theirs) so that you can start the process of getting your vehicle repaired and acquiring a claim number to use in getting your MedPay coverage. When calling the other parties insurance company, you don’t need to provide them a whole lot of information, and frankly, we recommend that you be as brief as possible. In other words, you tell them that you were in an accident, that their insured hit you, and that you are seeking treatment and will be in touch. We do NOT recommend that you give a recorded statement without the help and guidance of a lawyer. You also should not give them any information about your medical condition or your doctors. And please do NOT sign any medical releases or forms that they may send you. When talking to the insurance companies, you want to be forthright and honest with them. Any exaggeration or misrepresentation about your injuries could come back to bite you later if you end up in a lawsuit. After you contact the insurance company to open a claim, they will generate a claims number for you and assign your file to an adjuster that will reach out to you for more information. After you have opened your claim, the insurance adjuster will need to begin gathering information about you, their insured, and the facts surrounding the accident. They need to verify that their “insured” was the at-fault driver and that you were not contributorily negligent in causing the accident. They will also want more information about the severity of your injuries and whether they should set aside a “reserve” to pay your claim. They will attempt to interview you and their insured about the facts of the case and how the accident occurred. Chances are that their insured has also opened a claim. They will obtain the police report and reach out to any known witnesses. They will attempt to obtain your medical records and bills. They will need your authorization for this, and we do NOT recommend that you provide this. They will look for any photo or video evidence of the accident (i.e. surveillance camera’s, social media posts, etc.). They will send an investigator out to look at the scene of the accident, take pictures and notes, etc. They will review the damage to your car and make an assessment of what your repairs will cost. They may hire a private investigator to follow you and assess your physical capabilities – especially if they feel you may be exaggerating about the extent of your injuries. You should be aware that there are two different claims adjusters that you will be talking to. The first is the adjuster for your own insurance policy. When talking to them, you must be prepared, honest, and ready to provide them with the evidence they may need to show that the other company is at fault. 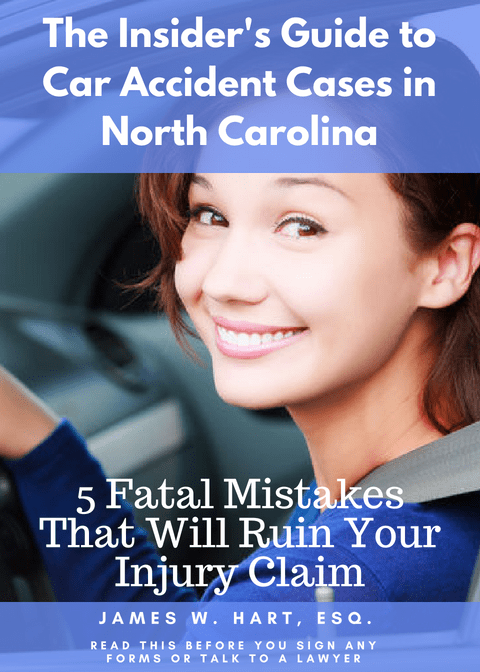 At this point of the process, they are on your side and want to prove that the other driver was the at-fault party so that they won’t have to pay out a claim. The other adjuster you will deal with is the adjuster for the at-fault driver. We do NOT recommend that you sign any paperwork, talk to, or give a recorded statement to this adjuster until after you have at least consulted with a lawyer. You can give them enough information for them to open a claim (as described above), but nothing more. In going through this process you need to understand what is going on in the mind of the insurance adjuster. They have a job to do. They want to settle your case and move it off their desk. It is entirely possible that they are paid a bonus or some other compensation based on the number of files they can close quickly and for as little as possible. They will do everything they can to make you think that they are your friend. They want you to like them – because if you trust them, you will let down your guard and give them more information. But beware, because they are NOT your friend, but they are a person who has a job to do. They need to check off all the boxes in their computer before they will have the authority to send you a settlement check. So while you do not want to give up the farm, you do need to give them enough information so that they can obtain authority to settle your claim. Information showing that you suffered injuries that have required medical treatment and may require future medical expenses. Proof of any out-of-pocket expenses that were incurred as a direct result of the accident (make sure to keep your receipts!). This could include such things as medical devices, prescriptions, transportation (i.e. Uber/Lyft), etc. If you were unable to work due to your injuries, you must show proof of your income in the months leading up to your injuries and proof of the time you had to take off of work as a result of your injuries. A doctor’s note and/or information from your employer regarding your income history would be helpful in this regard. If you are seeking damages for pain and suffering, you will need to somehow show the adjuster that you have suffered these injuries. When you are ready to try to settle your claim, usually after you have finished your medical treatment and have reached a stage called MMI (or Maximum Medical Improvement), you will draft a formal “demand” letter to send to the insurance company. A demand letter is a document that can be used as a tool to attempt to settle your case with the insurance company. Typically speaking, a demand letter sets out the facts of your case, discusses your treatment history and the injuries you are claiming, and then tells the insurance company what you are seeking in damages. As mentioned above, you should not send a detailed demand letter until you have neared the end of your treatment with the insurance company so that your letter can contain an accurate reflection of all of your damages. Now, this is what a “typical” demand letter looks like. We have talked to other attorneys that will send out a “bare bones” demand letter that is one to two pages long and demands that the insurance company tender the policy limits. This is more common in cases where there is clear liability and extensive personal injuries. If you choose to represent yourself, you must be very careful about what you do and don’t put into a demand letter. Although the contents of a demand letter should not be admissible in court (settlement negotiations are always inadmissible), that doesn’t mean that the factual basis for your demand won’t show up in a deposition or cross-examination in court to impeach you or show that you were not being 100% truthful in your demand. Once you send your demand letter, the insurance adjuster has three options. They can deny your claim, accept your demand and pay out your requested damages, or they can counter-offer with something in between. As you can imagine, many cases fall in the middle. As always, if you get to the point where you need to send a detailed demand letter, we recommend that you consult with or retain a personal injury lawyer to help you. If your settlement negotiations with the insurance adjuster break down, or if the limits of the insurance policy are not enough to pay all of your damages, then your only alternative may be to file a lawsuit. In general, our theory is that when there are serious injuries involved, we tend to file a lawsuit sooner rather than later. That’s because we want to take our best cases to trial. By doing so, we know that the insurance companies will start to respect that we are willing to take a case through to jury trial, and therefore will be more likely to settle future cases with us, even the ones with smaller damages and more questionable liability. If you were involved in a minor accident however, where there were small damages and you may have been partially to blame for the accident, then we do not recommend filing a lawsuit except as a last resort. In those cases, all methods of out of court settlement (including mediation and arbitration) should be pursued before filing a lawsuit. In our Ultimate Guide to Handling Your Own Personal Injury Case, we talk about whether you should file your own lawsuit, and the process for doing so. However, we still believe that if you see a lawsuit in your future, you should hire a lawyer to help you. There are just too many traps and pitfalls to go it alone. Not to mention, if you find yourself on the receiving end of a motion to dismiss or motion for summary judgment – do you know how to handle that? But here’s the thing, proving these damages is not as simple as getting on the witness stand and explaining to the jury how your life has changed as a result of the accident. The cost of obtaining medical records and bills, police reports, witness statements, etc. If you hire a lawyer, the rate they charge will increase as you get closer to trial. The bottom line is that filing a lawsuit should never be a knee jerk reaction to a perceived injustice from the insurance company. You should only file the lawsuit after weighing all of the pros and cons of doing so. You also need to calculate the probability that you will succeed at trial given the facts of your case, how you will present as a plaintiff, and the jury pool in your jurisdiction. There are certain injuries that are so serious that filing a lawsuit is almost a foregone conclusion. As mentioned above, we like to take our best cases to trial, and here is a list of possible injuries that will generally warrant the filing of a lawsuit. You will notice that the injuries listed below are significant injuries that have drastically altered daily life for the person injured. Injuries that have required you to make alterations to your home and/or vehicle to accommodate your new “normal”.